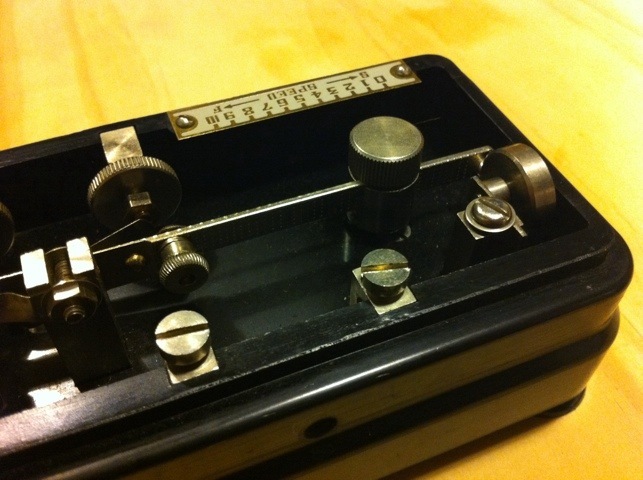 What is this Morse code thing? Do you know what this it? It belonged to my father-in-law who was a naval radio operator. It looks like it is for Morse Code, but the paddle goes left-right (or forwards-backwards depending how you look at it). Also, when the paddle is pushed it appears to complete one circuit, but when pulled it completes another. 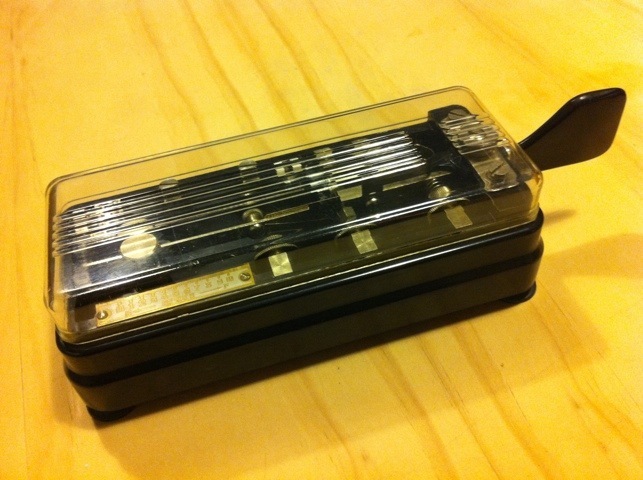 It is made of Bakelite and steel and is unbranded. 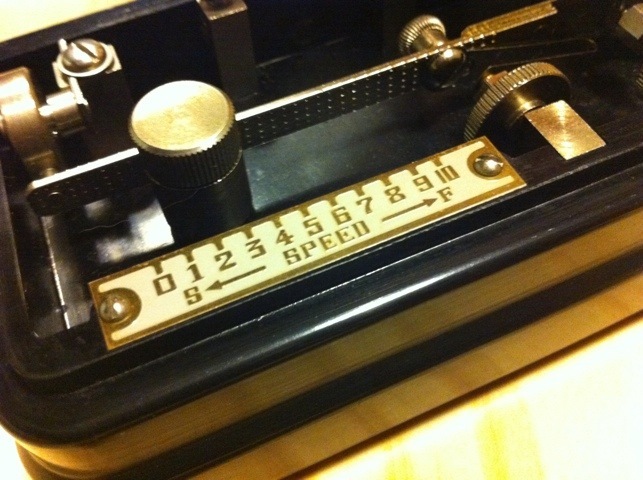 Love the typography on the ‘speed’ setting. 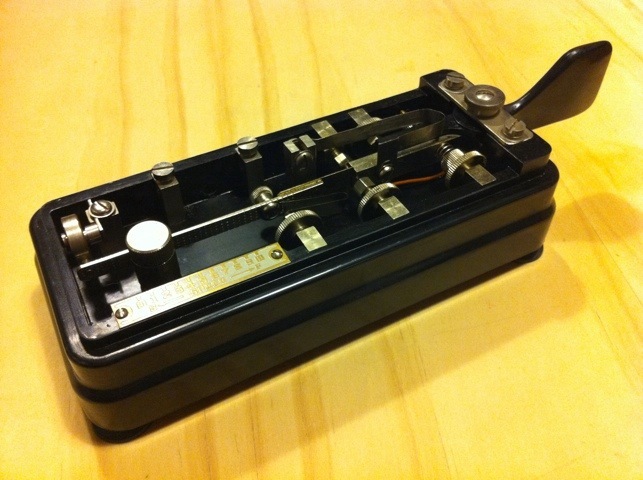 Update: It is a semi-automatic Morse key. 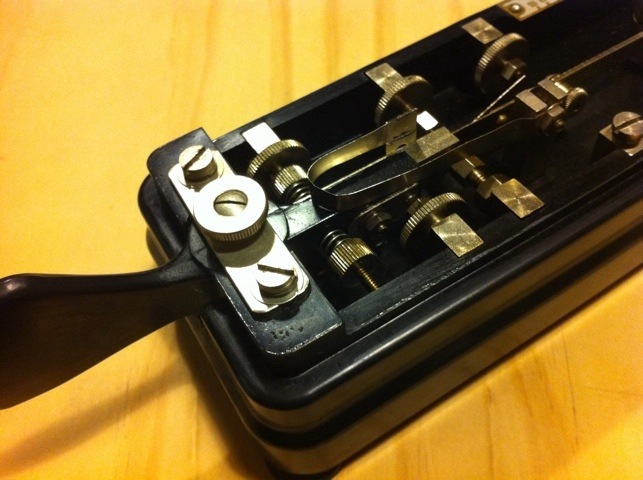 Thanks to @little_mavis recognising it as possibly being a Vibroplex Bug, I did a little more digging and found that it is a BK-100 semi-automatic Morse key, manufactured by Hi-Mound (or Shizuoka, or Swallow, or Skilman, or Dentsuseiki). It was made in Japan between 1953 and 1968.